It takes a mere 50 milliseconds for a user or potential customer to form an opinion about your restaurant’s website. Studies have proven that the more notable the first impression, the longer the user lingered on the web page. This visual first impression relies on many factors to engage the user. This includes use of color, space, text and fonts. 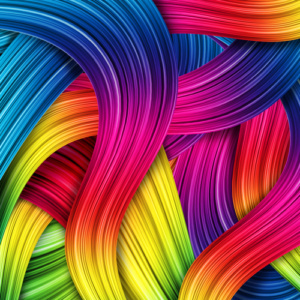 Color is the catalyst for visual engagement. A logo is where a user focuses most of his or her attention and studies have shown that it is about 6.4 seconds. This is a perfect opportunity for you to showcase your establishment’s logo. Incorporate your logo colors in the website. Color is also used for navigation and clarity. Complementary colors such as blue and orange create balance. Using colors that are opposite can make type more readable. Vibrant colors generate emotion and should be used effectively. Whitespace is important to make a website less cluttered and more modern. The use of it is an integral part of the legibility of your site. Information should be given in a highly readable format. Users want material delivered quickly and to the point. Make use of headlines and short, concise sentences. Keeping your website balanced also contributes to its readability. Designers suggest that no more than 3 typefaces be used on the page, with no more than 3 sizes. Eye tracking studies of how people scan a web page have been conducted. They have concluded that most internet readers follow the screens in an“F” pattern. This means that most of what people will see will be located to the top and left on the screen and the right side is rarely seen. Effective website creation will follow this natural flow of the user’s visual pattern. This is all general information and is universal to all effective websites. But what elements should be presented in a restaurant website to create that mouth watering reaction from the user? One of the most important elements to a restaurant’s website is the photography. 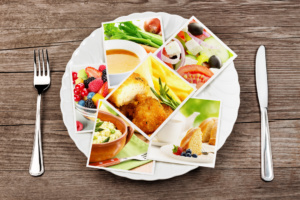 Capturing images that depict your menu items should be a highlight of your site. You can certainly grab a camera and do the work yourself, but only if you are familiar with food photography. Quality photographs of your menu items is the customer’s first introduction into what you are offering. Visual depictions are a universal language. Customers love to see what they will be getting if they order an item. This is an area where color can make a difference. Take advantage of this basic but essential aspect. Always include your menu. Creating a web version of the menu is a wise idea. You may also link to a version of the menu but this will entail an additional step for the user. Remember you have milliseconds to draw users in so it is best to display the menu on the site. The menu is then easily made interactive with photos, pricing and descriptions. Potential customers are always interested in what others have to say about a restaurant before they visit. Be sure to include testimonials on the website. Adding reviews and ratings can also expand the restaurant’s authenticity. A Yelp button or link can quickly connect to reviews. This can be a great asset, even to a new restaurant because as reviews come in they can easily be accessible. We are living in a totally connected society because of social media. For business owners there is no better way to network and attract new customers. Be sure to include social media buttons in a clearly visible position on your page. There are two distinct types of button, those for sharing and those for following. Although both can have an effect, sharing buttons tend to have more of an edge in getting new customers in your door. Another powerful tool to any business is an email capture. When you acquire a customer’s or potential customer’s email you are enabling more marketing opportunities to develop. You are now given the ability to email special promotions or a newsletter. Incentives might want to be offered for signing up, such as, a free dessert or appetizer. 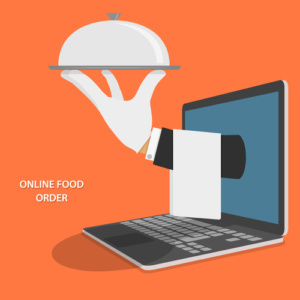 Online booking and ordering have become an integral part of today’s restaurant business. A vast majority of us spend somewhere near six hours online daily. Customers have come to expect the convenience of ordering menu items or booking a reservation from all of their devices. Consider adding these capabilities to your website. Without incorporating them you may lose potential customers to competition that have these capabilities. Just a couple other suggestions. Incorporate a mapping tool in your page. Users will easily be able to view your locations and determine time and distance. Make sure there is ease of navigation. Most users know what they are looking for. Clearly display essential information such as menu, location or photos. Keeping these guidelines in mind when creating your website will help to draw in potential customers and will lead them to your door.